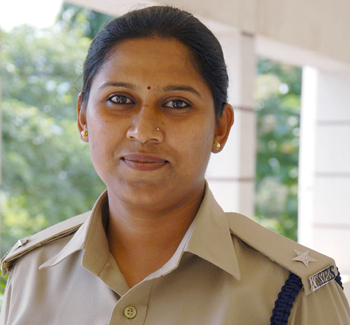 Bengaluru, June 09, 2016: A special police team has been set up to track down Kudligi Deputy Superintendent of Police Anupama Shenoy, whose resignation and subsequent posts on Facebook making allegations against Minister of State for Labour P.T. Parameshwar Naik have created a stir. The officer has remained incommunicado. Till late on Wednesday, efforts by Ballari Superintendent of Police Chetan to establish contact with Ms. Shenoy had failed. He had not only sent a senior official to her native place, Paniyuru in Udupi district, but had also personally got in touch with Ms. Shenoy’s mother and brother, said sources in Ballari. The team was formed on the instructions of the Director-General and Inspector-General of Police Om Prakash, after Chief Minister Siddaramaiah said that the government was “trying to convince the officer to withdraw her resignation”. The police are trying to track down Ms. Shenoy through her mobile phone and the IP address of the computer that she is using to update her Facebook page. Sources in the DG and IGP’s office said that since her resignation was not accepted, she was still a serving officer and part of the force. Her “inflammatory” posts on Facebook would attract disciplinary action. Sources said that while the Home Department was keen to take action against Ms. Shenoy, they were forced to keep mum as the whole episode had taken a political turn with the Chief Minister intervening himself. Speaking to reporters in Bengaluru, Mr. Siddaramaiah said the government was “not for taking any hasty decision”. He said Ms. Shenoy was still a Dy.SP and the government wanted her to continue in service. However, he added that government servants should abide by the rules, and she could have got in touch with higher officials if there were problems. I and our family members have told her to withdraw her resignation. She said she would consider the matter in a couple of days. Ultimately, it is her choice. She is a determined person who takes her own decision. The government will not take any hasty decision. We want her to continue in the police force. But as a government official she is bound by rules. She can talk to higher ups if there are problems. What are we to do about her decision to wage a war against the government on social media instead? Politics and Police is the most corrupt source ad You mam Please do not get involved in such brig a black mark to your career. If she hasn’t posted anything on Facebook being silent when somebody else is doing it is also not correct. She is a strict officer and known for her sincerity. She has to approach the public and be straight in her opinions . Something is cooking but the public actually do not know what is going on. Being a sincere officer Anupama has to be clear and transparent about her intentions. What ever the matter is the problem has to be solved. Because unless the feelings are hurt we never come to such a decision.